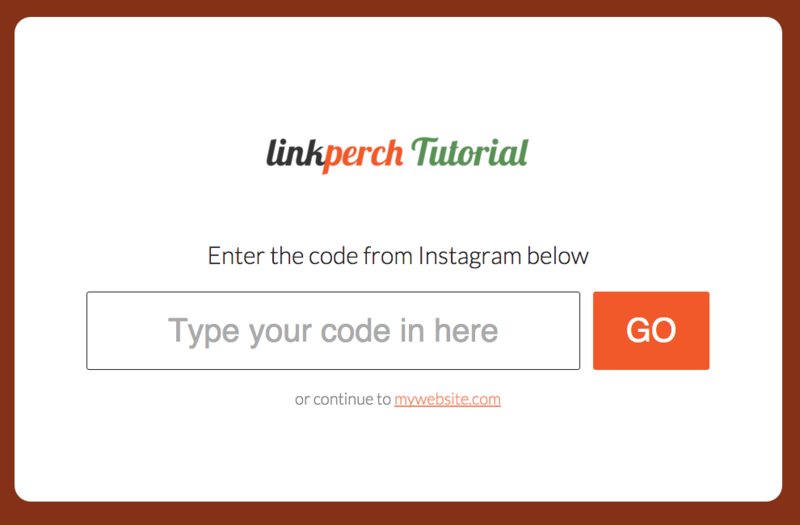 This tutorial will help you get started with LinkPerch quickly and easily. Lets get straight to it. 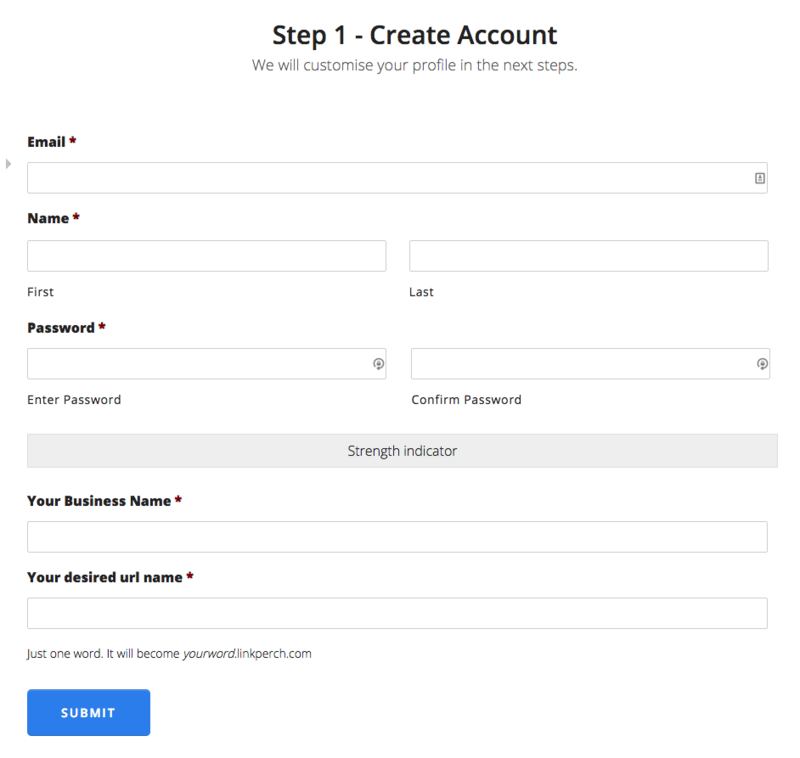 Go to http://www.linkperch.com/create-account/, fill out the form and create an account. 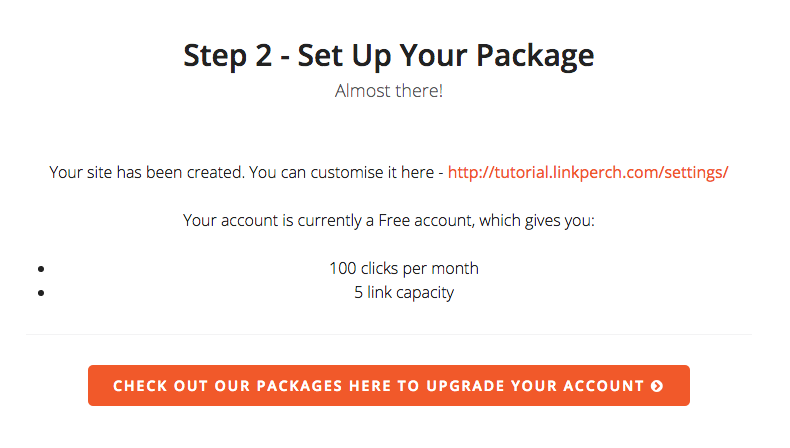 It may take a while to create your account and set up your very own LinkPerch.com page. Your FREE account gives you 100 clicks per month and 5 links to get started. If you think you will need more immediately you can click the orange button to see the available packages – but we will get to this later too. Now its time to personalise your page. Click the link to your linkperch.com site to view the settings. 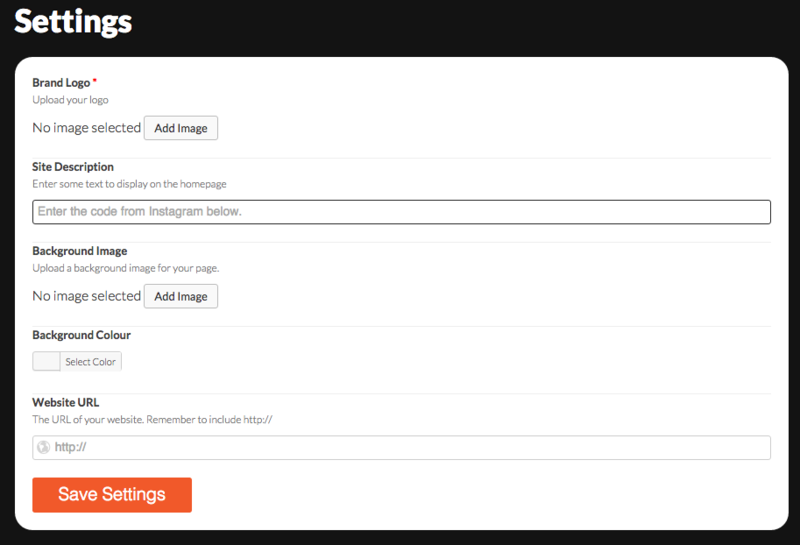 You will be presented with a very simple settings page where you can add your logo or profile pic, add some instruction text (eg. “Enter the code from Instagram Below”) and add a background image etc. Once you have added your images, logo, description and website url click “Save Settings”. PS. Website URL is the URL of your normal website or social profile. From this menu you can access the settings page and add or view your links. Lets add our first link – click on “Add Link” in the menu. You will be presented with a very simple form. Then click “Add Link”. You will be directed to the “My Links” page where you can see all your links and edit/delete them if needed. And its that easy – you can now add multiple links and codes to use. Lets use our link on Instagram! Go to your Instagram account and edit your profile. 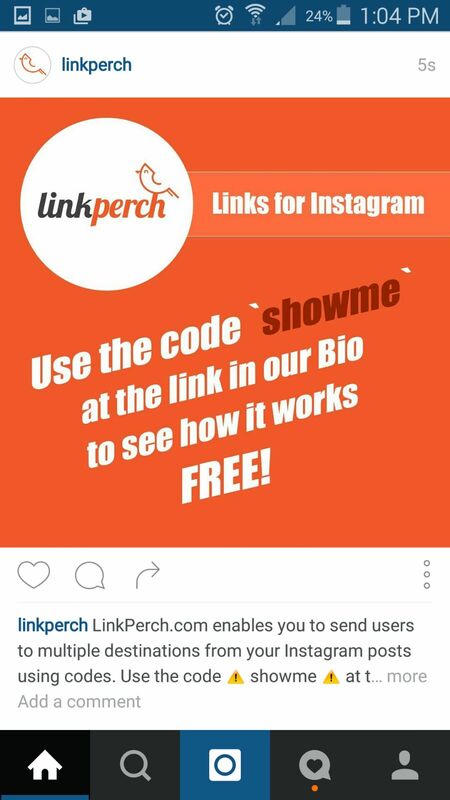 Update the link in your bio to your linkperch.com url. 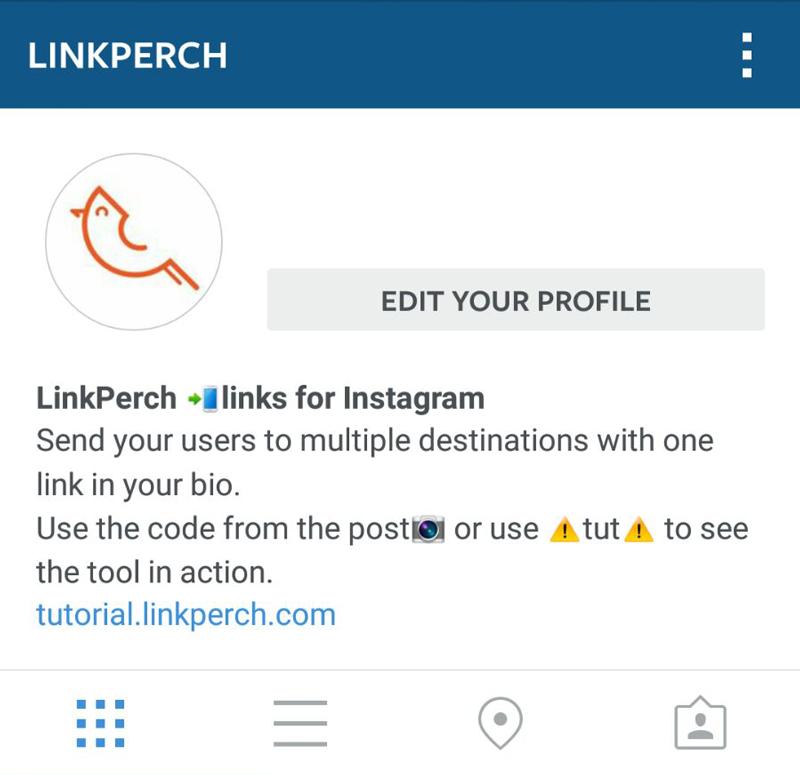 You are now ready to use LinkPerch in your Instagram posts. If you have any questions or feedback we would love to hear from you. Please connect with us here.